Don Jelbart: launches million dollar claim against his tormentors. 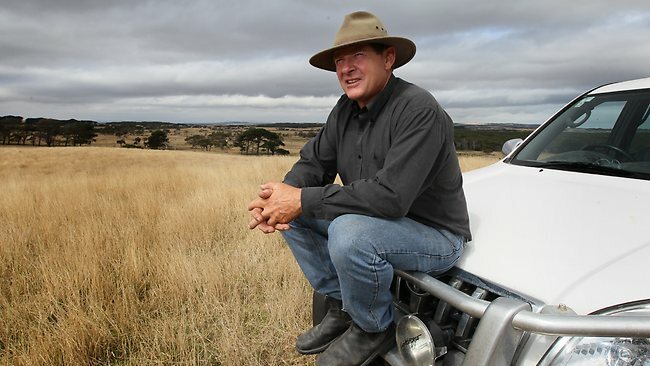 Tormented by wind turbine noise for years, a group of Victorian farmers have launched Supreme Court action seeking $millions in damages. Now, 12 months later, an independent investigator has deemed that the turbine noise generated constitutes a nuisance, rendering the Council liable under the Public Health and Wellbeing Act 2008. We’ll come back to the operation of that Act a little later. But, first, here’s the local rag’s report on what is now a very big problem for the Australian wind industry. 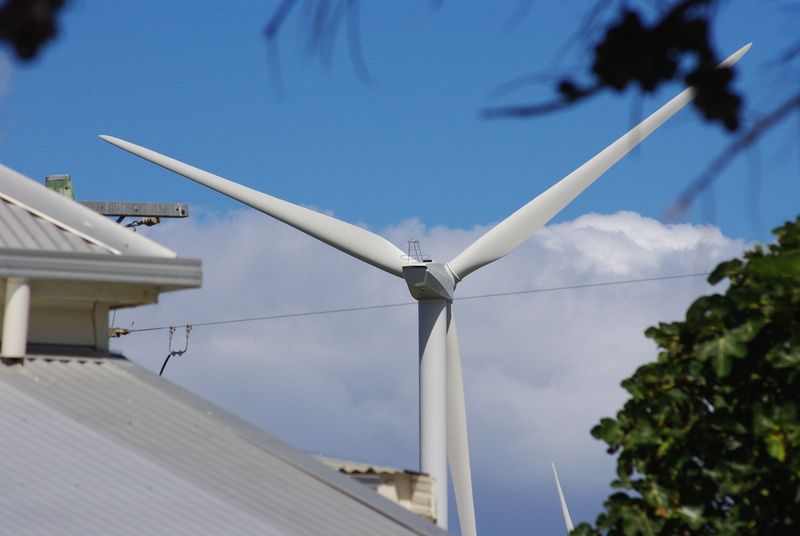 THE investigation commissioned by the South Gippsland Shire Council, at a cost of $33,600, into Noise Complaint Notifications by residents living near the Bald Hills Wind Farm is complete. And two and a half years after they first made their grievances known, the report has found their complaints were fully justified. Described by the shire as “a highly experienced independent public health consultant”, at his appointment in February this year, James C. Smith and Associates has found that “there is a nuisance caused by wind farm noise, in that, the noise is audible frequently within individual residences and this noise is adversely impacting on the personal comfort and wellbeing of individuals”. The conclusion has been welcomed by the lawyer representing seven of the complainants, Dominica Tannock of DST Legal of Abbotsford as “a very, very significant finding”. 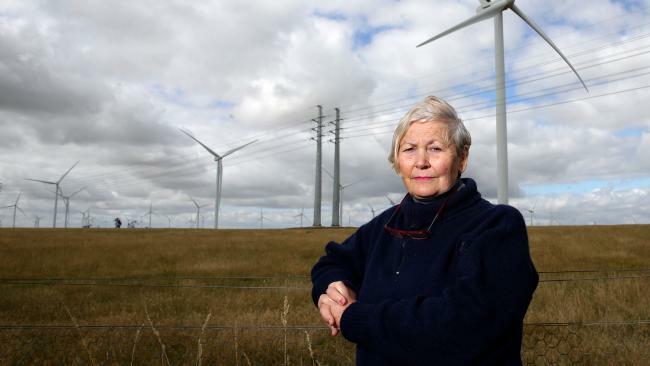 But she is alarmed by the shire’s decision to put the findings to the operator of the wind farm, the Infrastructure Capital Group (ICG), first instead of simply accepting the report and the process they put in place and taking the appropriate action. In fact, she says, by the admissions of their CEO Tim Tamlin at the Supreme Court on March 20 this year, the shire council isn’t qualified to do anything but accept the report’s findings. “The council should be concerned by these findings and they need to make a decision. They want to get the operators’ comments but they’ve been getting complaints from the affected property owners for three years that the noise emissions are making them sick. “They have an obligation under the Public Health and Wellbeing Act to investigate the nuisance and to take action in a timely manner. “But despite being in possession of the clear findings of an independent expert, they’re not prepared to make a decision. “The evidence is plain and yet they are afraid of making a decision because it’s a first in Australia and because they are scared of upsetting the operator. In a letter to the shire’s lawyers, Maddocks, Ms Tannock has objected to giving the operator 14 days to respond as “extraordinarily and procedurally unfair”. The report by Mr Smith, an expert in public health follows a botched attempt by the shire to investigate the complaints itself between May and November 2016, after which the shire produced a finding of “no nuisance” in January 2017 before telling the affected property owners that the case was closed in April 2017. But it wasn’t closed and the complainants took Supreme Court action to get a proper investigation. The matter is due to go back to the Supreme Court on November 26, two days after the next state election. “That there is a consistency with the information contained in the completed log books and with subsequent discussions held with Mr Zakula, Mr and Mrs Fairbrother, Mr and Mrs Jelbart, and Mr Uren about their individual experiences with wind farm noise during that period. “Without exception there are allegations that the wind farm noise is audible inside their individual homes and, as a result, there is sleep disruption during the night and early morning hours. There are also allegations that the wind farm noise is disruptive to day-time domestic and work activities. “A particular difficulty in undertaking the investigation was to predict noise patterns based on weather forecasts and the experience of residents. It became apparent that noise patterns were unpredictable and highly changeable. However, on 24th and 25th July 2018, wind farm noise was clearly audible in the Zakula and Jelbart dwellings, with windows and doors shut, between the hours of 6.50pm and 9.40pm and 7.40pm and 8.40pm respectively. In the case of the Jelbart dwelling the noise level increased to a point where it intruded into conversation between investigators and Mr and Mrs Jelbart thus, corroborating that wind farm noise was clearly audible in dwellings and, at times, intrusive. It seems likely then that such noise could be heard over a television, or radio as had been recorded in some noise logs, and reported in discussions with Mr and Mrs Jelbart, and Mr Uren. It is noted that a noise mitigation strategy was in place at the wind farm at the time. This strategy was described by the wind farm operator as ‘… comprising a select number of wind turbines operating at reduced sound modes for a limited range of wind speeds and directions’. “It is clear from the investigation that noise from the wind farm is audible within residences although there are noise monitoring reports stating that there is compliance by the wind farm with permit conditions and the New Zealand Standard 1998, and with a noise mitigation strategy in place at the wind farm. “The noise was clearly audible in Mr Zakula’s dwelling at night time twice and in the Jelbart residence at night time twice and this is held to be unreasonable in both cases. “The experience at the Jelbart residence on 24th and 25th July 2018 whereby wind farm noise intruded on conversation within the residence at night time is seen to be detrimental to personal comfort and the enjoyment of the residential environment by Mr and Mrs Jelbart. Despite offering the operators of the Bald Hill Wind Farm’s 52 turbines 14 days to respond, the CEO Mr Tamlin said the matter was set to go to council for decision on Wednesday, September 26. All councillors, DST Legal and the operators of the wind farm have been provided with copies of the 25-page report and attachments, which include contemporaneous comments by the wind farm neighbours including “woken up at 4am”, “woken up at 2am roaring sound”, “woken up at 4am roaring/rolling noise” and “woken up at 3.30am could get back to sleep, got up at 7am could still hear noise through radio”. Don Fairbrother and his family’s tormentors. As we noted above, the result of this investigation is a very big problem for the Australian wind industry. And they know it. Immediately after the Sentinel Times article was published, the developer’s lawyers started threatening Dominica Tannock, warning her of all sorts of consequences that would follow if she engaged in any further publicity of the report. Undaunted, Dominica went on Melbourne talk-back radio, being interviewed by the ABC’s Jon Faine the very next morning (the interview is available here Dominica starts at the 15:47 mark). Clearly, the tenacious Tannock wasn’t about to let a few bully boy solicitors from a mega-firm in Melbourne put her off her game: she then doubled down for an interview with Graham Lloyd for this report that appeared in Australia’s National broadsheet, The Australian. A class-action lawsuit is being planned against a local council, the Victorian government and a wind farm operator after an independent review accepted resident complaints that noise from a Gippsland wind farm was causing them harm. A council-ordered report on the Bald Hills wind farm found there was a nuisance under the Public Health and Wellbeing Act. This was despite the wind farm being compliant with state planning laws. Investigators said they could hear wind turbines in some residents’ homes and accepted they could sometimes be heard over the television and that residents were suffering sleep deprivation and other symptoms. The report is a milestone on a years-long journey for residents at Bald Hills involving botched investigations, doctored reports, court interventions and heavy-handed planning decisions. The finding could have dramatic implications for the ongoing development of the wind industry, which claims its turbines do not disturb residents. Affected resident Don Fairbrother said the situation should never have got to this point. “There was a lot of concern about the suitability of the site and the height of the turbines was increased without community consultation,” he said. “The project has had a troubled history and we are finally being listened to. Noise logs by Mr Fairbrother document “whining, roaring noise” causing sleep deprivation and headaches. The independent monitor, James C. Smith and Associates, was engaged in March by the South Gippsland Shire Council lawyers to investigate. The report said Mr Fairbrother appeared to have “frequent sleep interruptions from a noise described as ‘grumbling noise and a sensation’ and frequent associated headaches”. In conclusion, the report said there had been a consistency in complaints. “Without exception, there are allegations that the wind farm noise is audible inside their individual homes and, as a result, there is sleep disruption during the nightly and early morning hours,” the report said. One first-hand experience where wind farm noise intruded on conversation during a site visit was seen as “detrimental to the personal comfort and enjoyment of the residential environment”. “After consideration of the completed noise logs by individual complainants and subsequent discussions with some of these individuals, it appears there is nuisance caused by wind farm noise, in that the noise is audible frequently within individual residences and this noise is adversely impacting on the personal comfort and wellbeing of individuals,” the report said. The report is significant because the wind farm had been approved as compliant under state noise regulations and was being operated in a low-noise mode when investi­gations were under way. The residents’ lawyer, Dominica Tannock, said she was meeting affected residents to consider their options. “A QC has been briefed and a junior counsel briefed with a possible class action against the shire, the operator, the minister and the state Environment Department,” Ms Tannock said. A case is currently before the Supreme Court. The Bald Hills wind farm was developed by Mitsui and Co and sold to Australian-based Infrastructure Capital Group in February last year. South Gippsland Council said it would be seeking comments on the report from both the wind farm operator and the complainants over the next few weeks. 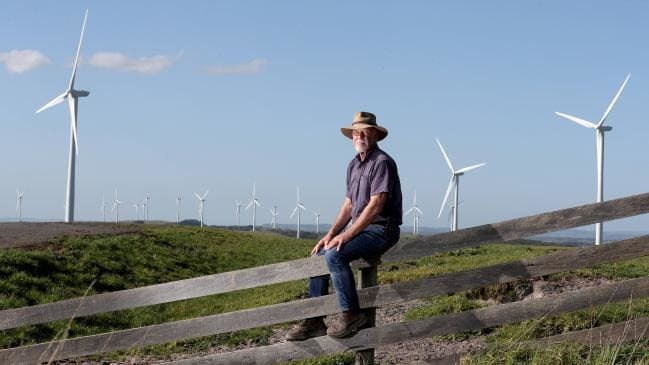 On Sunday night this week, the ‘thumping’ noise from the Bald Hills Wind Farm turbines was so loud in the home of Noel Uren that between 1am and 6am he couldn’t get any sleep. “I turned the radio on to try to cover the thumping but it didn’t make any difference,” he said. Up until now though, no one has believed him or them, his fellow neighbours at Walkerville. For more than two years those whose health and wellbeing has been seriously compromised by the unreasonable proximity of the turbines to their homes have respectfully raised their legitimate concerns with the responsible authority, the South Gippsland Shire Council, and received no support and little consideration. Following request after request for help and finally legal action in the Supreme Court, the shire came kicking and screaming to the decision that it needed to appoint an independent investigator, by its own assessment, “a highly experienced independent public health consultant”, James C. Smith and Associates, to undertake the investigation that they themselves had botched earlier, further insulting the injured parties by denying there was any nuisance. It’s Erin Brockovich all over again. Now this highly experienced investigator has come out with the conclusion that there is indeed a problem, a big problem. “… on 24th and 25th July 2018 wind farm noise was clearly audible in the Zakula and Jelbart dwellings, with windows and doors shut, between the hours of 6.50pm and 9.40pm and 7.40pm and 8.40pm respectively. In the case of the Jelbart dwelling the noise level increased to a point where it intruded into conversation between investigators and Mr and Mrs Jelbart thus, corroborating that wind farm noise was clearly audible in dwellings and, at times, intrusive. And this despite the fact that a noise mitigation strategy was in place at the time, with a select number of turbines operating in “reduced sound mode”. But instead of accepting the umpire’s decision, for which we the ratepayers have paid $33,000, the shire has offered the operator of the wind farm right of reply for two weeks. It’s bound to start a ping-pong match involving the aggrieved property owners’ lawyers, the shire’s lawyers, the operator and the state government but what needs to happen is this: The shire council must finally acknowledge that the neighbours of the Bald Hills Wind Farm, their own ratepayers, have a legitimate gripe under the Public Health and Wellbeing Act and support them in their attempts to get redress from the operator and the State Government. And the State Government must finally admit that it allowed the turbines to be sited too close to the existing farm houses for them not to cause a noise nuisance. Unfortunately, having been told all the way through the approvals process and beyond that the turbines were too close, the government, the shire and possibly us the ratepayers are going to have to pay through the nose for the mistake. It’s a stuff up of monumental proportions, with wide ramifications, the fallout of which can only be guessed at the moment. That observation is not limited to South Gippsland and the Bald Hills, but applies right across Victoria: eg, Waubra, Macarthur and Cape Bridgewater – to name three of the most notorious public health disasters in that State. The Bald Hill plaintiffs now have two strings to their bow: forcing the Council to remedy the nuisance under the Public Health and Wellbeing Act; and a common law nuisance claim for damages for loss of the use and enjoyment of their homes. Given the arrogant and high-handed responses of the the Council, the Environment Department and the developer (the likely defendants to a common law nuisance claim) to the plaintiffs’ numerous and now completely justified complaints, the plaintiffs are odds-on to recover aggravated and possibly exemplary damages, as well. For the benefit of Victorians suffering from the same kind of turbine noise torture as that being dished out at the Bald Hills, here’s how the Public Health and Wellbeing Act helped the plaintiffs bring the Council to heel. (1) This Division applies to nuisances which are, or are liable to be, dangerous to health or offensive. which is, or is liable to be, dangerous to health or offensive. (b) regard may be had to the degree of offensiveness. (4) In this section, “offensive” means noxious or injurious to personal comfort. Anyone who has had to suffer through a night of thumping, roaring wind turbine noise knows just how injurious it is to their own personal comfort. Little wonder that James Smith and Associates determined that the wind turbine noise at Bald Hills satisfied the definition above. Section 59 means that the plaintiffs are also free to pursue their common law damages claim against the defendants. A Council has a duty to remedy as far as is reasonably possible all nuisances existing in its municipal district. (1) If a person believes that a nuisance exists, that person may notify the Council in whose municipal district the alleged nuisance exists. (2) The Council must investigate any notice of a nuisance. (b) if the Council is of the opinion that the matter is better settled privately, advise the person notifying the Council of the nuisance of any available methods for settling the matter privately. (c) bring proceedings under section 219(2) for an offence against this Act. See section 197 in relation to the power of a Council to bring proceedings after it has issued an improvement notice or a prohibition notice in respect of a nuisance. It’s the section above that brought the South Gippsland Council unstuck. Having received numerous complaints under the Act, it started off stonewalling and, when it did engage with the complaints, it carried out a Mickey Mouse ‘investigation’ which was ultimately slammed by a Supreme Court Judge, who ordered the Council to crack-on and do its duty under the Act. (1) If the Council does not, within a reasonable time of being notified of an alleged nuisance, investigate the subject matter of the notification, the person who notified the Council may make a complaint to the Magistrates’ Court of the existence of the alleged nuisance. (b) proceed as if the complaint had been made by a Council under section 197(2). (3) If the Magistrates’ Court is satisfied that the person making a complaint under this section had reasonable grounds for doing so, the Magistrates’ Court may order the Council to pay any costs and expenses incurred by that person. (4) The Magistrates’ Court must not order a Council to pay any costs or expenses under subsection (3) unless the Magistrates’ Court first gives the Council or its representative an opportunity to be heard. (5) If the Magistrates’ Court is satisfied that a complaint under this section is vexatious or frivolous, the Magistrates’ Court may order the person making the complaint to pay the costs and expenses incurred by the person who has answered the complaint. 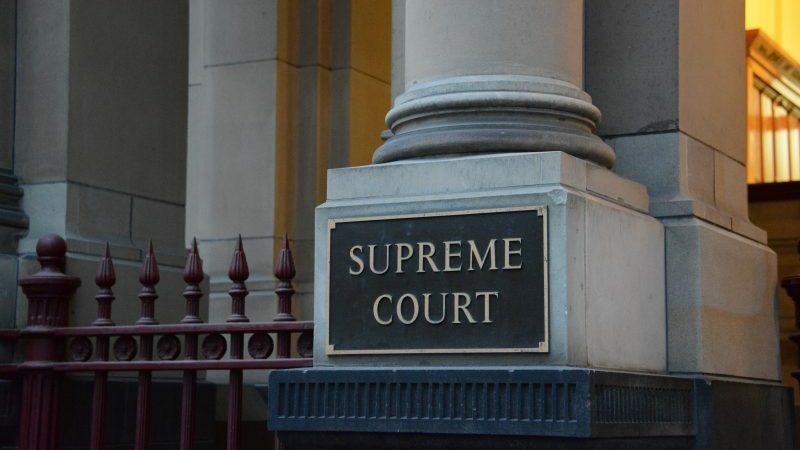 There’s nothing vexatious or frivolous in a complaint about the grinding and soul-destroying effects of incessant wind turbine noise, as the Bald Hill plaintiffs are ready to attest in front of a Victorian Supreme Court jury. The dogged Dominica Tannock and her Bald Hill trailblazers have lit the path towards justice in Victoria. And none too soon. STT fully expects hundreds of others to follow their lead. If you live in Victoria and you’re being tormented by wind turbine noise, why not drop a line to your local Council? As set out above, it has an absolute duty to not only properly investigate any such complaint, but to remedy the nuisance complained of. If your Council ignores your complaint, why not give Dominica Tannock a call? We expect she’d be delighted to add your name to a class-action. As they say, the more the merrier. Hear hear, but are some of those in charge too corrupted to allow? We at Macarthur have been putting up with this for five years. Complaints lodged with every office. Seems Moyne Shire are responsible but have just ignored us, even when thirty odd neighbors complained as a group. And then they voted at the last council meeting six to one, AGL is compliant for another five years. Got woken at 3.30am yesterday morning. Got up after trying to get back to sleep. Lodged complaint with AGL’s Hannah Coffey – got auto reply straightaway, then later, two paragraphs saying how they are compliant. Not sure how they could wake me then Hannah? Then the Moyne Shire planning officer replied about three that afternoon asking me had I complained to Hannah. I guessed this must solve the noise issue? Bring on the 26th. Would love to sue everyone who has put us through this, including councillors. Wonder if AGL’s social media officer is working tonight? As Hannah said they have a full time person monitoring us jealous neighbours.